Cook County Budget Town Hall Reviewed by Edgeville Buzz on January 3, 2011 . 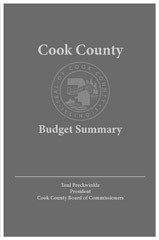 Commissioner Bridget Gainer created a “Citizens Guide to the Cook County Budget” to provide a road map for taxpayers to the $3.5 Billion dollar annual budget. After consistently hearing from her constituents, local neighborhood groups and chambers of commerce that good information on the County budget was impossible to find, Commissioner Gainer organized a presentation that breaks down the $3.5 Billion dollar budget into information people really need: where does the money come from, where does it go, and who makes the decisions about how to spend it. Residents of Edgewater and Uptown are invited to attend a Town Hall and weigh in on county spending. This Town Hall is sponsored by the Andersonville Chamber of Commerce, Business Partners – Chamber for Uptown, the Edgewater Chamber of Commerce, Buena Park Neighbors (BPN), North Uptown Neighbors Association (NUNA), Neighbors of Edgewater West (NEW), Edgewater Beach Neighbors Association (EBNA), and many other local groups.